Ortofon have upgraded the Concorde range to MKII - the Concorde Scratch features an enhanced cartridge shape, interchangeable finger lift and a revised stylus tip. 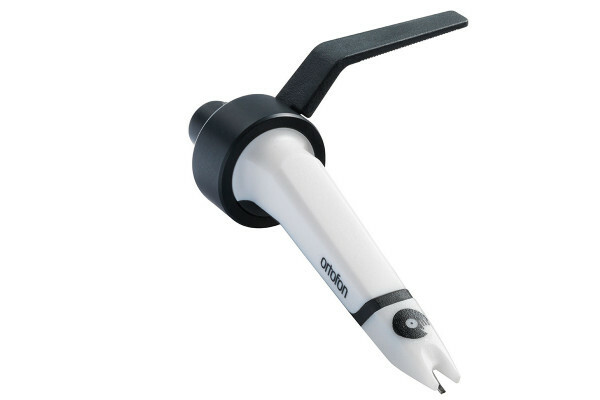 The Ortofon Concorde Scratch has been designed specifically to meet the needs of the modern turntablist. As the next stage in an evolutionary journey spanning 24 years the Scratch delivers a high output voltage which ensures an extremely high signal to noise ratio, this enables a great reporduction of the dynamic range of the music played ensuring that your dancefloor "feels" the drop. With an output voltage of 10 mV and a frequency range of 20-18,000 Hz, the Concorde MKII Scratch is perfectly suited for use in the studio, club or for broadcast. The Scratch benefits from Ortofon's legendary sound reproduction ethos, with transparent sound across the spectrum regardless of the style of music played. Providing great performance and durability, the Concorde MKII Scratch offers significant improvements over the older Scratch and Q-Bert cartridges it replaces without compromising an accurate sound reproduction. Seen the Ortofon Concorde MKII Scratch Single from another UK Dealer Cheaper?